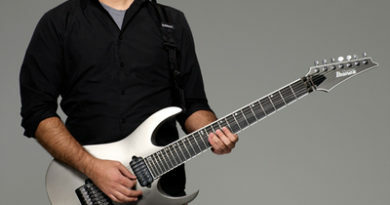 The GuitarFetish GFS VEH. Hold on! Is there V and H in that name? V? H? VH? Well, yep, there sure is. While I’m no Eddie clone, I’ve become a sucker for Eddie-themed pickups. The ones I’ve tried so far are all good “rock” pickups with a lot of variety. I ran across this particular pickup a few years back. And I foolishly dismissed it because it wasn’t a ‘big name’ brand. However, for you, my loyal readers, I’ve been toying with the idea of working my way through some of the Eddie-themed pickups. And it’s been worth it, as this is a good pickup. The order processed and shipped quickly. Try that with some shops…know what I mean? If you already looked and saw the $34.95 price, you might be wondering how it arrived. Dude, it showed up well packed, with it’s own retail box. Inside the box, the pickup was already mounted in a pickup ring with the leads exposed, all ready to install. Very nice touch! And you get a sheet of installation schematics. Lemme tell ya, I’ve heard of very high dollar boutique shops that do none of that. A tip-o-the-hat to Guitar Fetish for that. 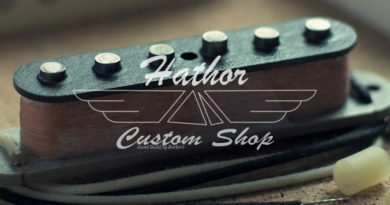 I installed it in a single hum super strat with a double locking trem…you know, what you’d expect for this sort of pickup! lol! I wired it to a p/p pot for series/parallel. I installed it direct mount to the guitar with some #3 screws, so the threads aren’t affected and still good if I want to have a pickup ring install later down the road. Then I plugged it in for my stock clean and dirty amp settings. For reference, this same guitar has had at least the other EVH type of pickups already tested and reviewed – Smit’s EBS-2 Brownsound, Arcane Brownbucker, DiMarzio DP214 Virtual Hot PAF (the EVH Gear Wolfgang set and the Bare Knuckle VHII bridge were tested in different guitars). Playing on a clean amp tone in parallel wiring, the overall vibe is riding the line between concise and wide open. Single notes are defined and chords are big. The highs are clear and chimey, while the lows are big but not fat. 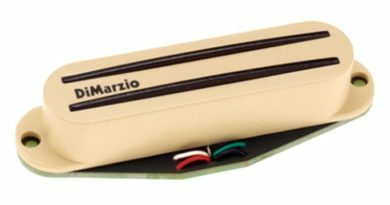 Playing in series on a clean tone can reveal how the pickup can be quite touch sensitive, responding to the player’s finesse or drive. On a dirty amp setting, it’s more than what you’d expect… yet, it’s exactly how it’s described on the products web page. The general voice of the pickup is big. The lows are right on the verge of being huge, but they maintain control while delivering a nice thud to the chest without being muddy to too thick… you go to work on some of your 80s chugging riffs and you’ll know what it’s like to get punched in the chest. The upper mids and highs are the star of the show, putting out nice edgy leads and solo work that cuts on through and sustains with plenty of drive. 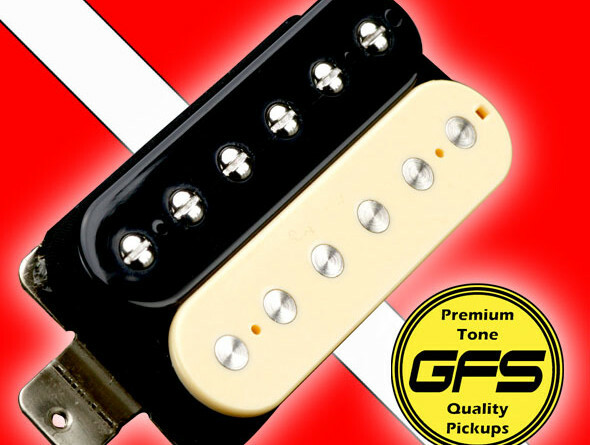 Across the mids, you can get some grunt and you can get some growl and you can get some roar… all out of this pickup. Harmonics pop right through like it’s cold outside, making all your squeals dominate with ease. And all of this was with the pickup installed to a generic height, without any tweaks made to the screw poles… so imagine the fun that’s still in store. 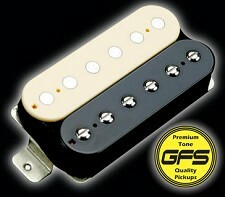 I’ll be covering a more of the EVH style of pickup as we go forward toward a final roundup comparison. 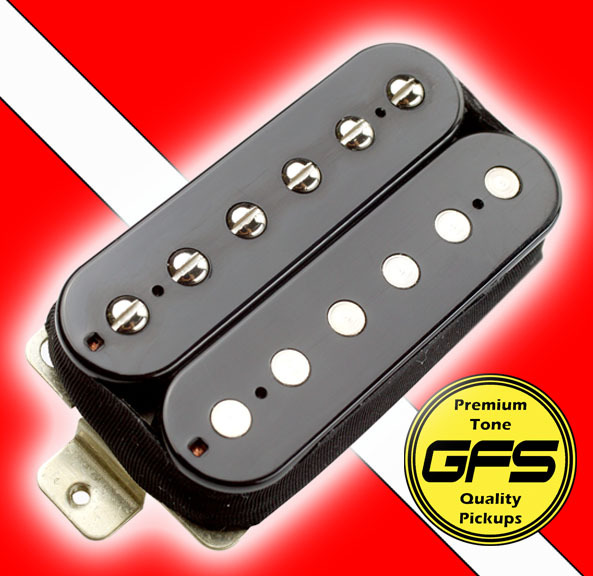 I am comfortable with saying this pickup from Guitar Fetish is worthy of being on par with any of the other options that cost a LOT more. The GFS VEH can be purchased directly from GuitarFetish.com <- click and scroll down.